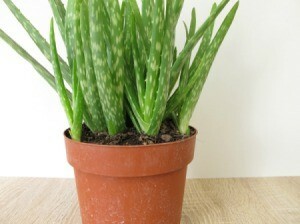 Aloe vera is an attractive succulent with a healing gel inside every green lobe. This is a guide about caring for an aloe vera plant. I have two small aloe plants that I left outside overnight when temperatures reached into the 20s. Now they seem so limp, and their coloring has changed. My grandmother gave them to me and they flourished this summer, with me doing very little to them. So I am wondering how to help them bounce back from a possible freeze or at the very least a shock. Advice? Thank you in advance. My aloe plant has been outside in the ground for 10 years now. I live in Southern California but at an elevation >1000 feet, there are a couple <20 nights/year. My plants just grow back from the center. The root structure is not compromised. I think if you fear another frosty night, the rule is to spray them with water and the ice formed around the plant insulates them. Don't give up the ghost. 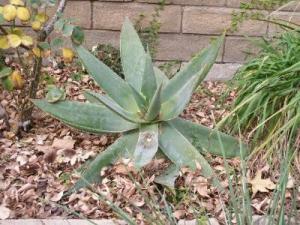 These succulents endure freezing nights in their natural desert state and they flourish the rest of the year. We have this at home so you just care it the same way as other plants. It works for me. Q: If my aloe vera plant has a droopy leaf should I remove it? If it bothers you aesthetically, you won't hurt your aloe plant by removing a droopy leaf. 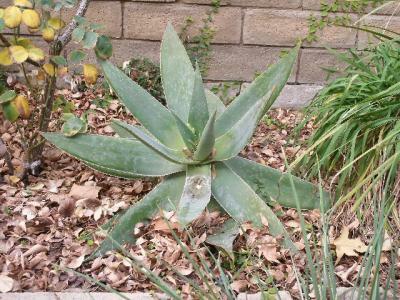 Use a sharp knife or scissors and cut the leaf off close to the stalk. Try to make the cut as clean as possible. Some aloe plants develop droopy leaves as they age. If the leaf is in good condition, you can store it in a plastic baggie in the freezer and use it as an after shower skin refresher this winter. Every plant has a basic shape (morphological form) that it follows as it grows and matures. I have an older aloe vera plant that only has a few spikes growing in the upward direction. When the plant was younger, the majority of the spikes grew up and out, but now that it is mature, many of the spikes droop down the sides of the pot despite the good health of the plant. Even plants can start to droop a little as they age! A friend of mine used to water her semi-succulents like this: every day, she'd check the weather reports to see if it rained in Phoenix, AZ. If it did, she'd water them. Yes, cut it at the base of the plant. I have a very large one in a 5 gallon pot. I water it when it gets dry, about once every two or three weeks. Just to let you know. My son had a blow out on his bike, going down a hill. He had a nasty road burn (black with bits of sand and gravel and bloody), but went on to work.